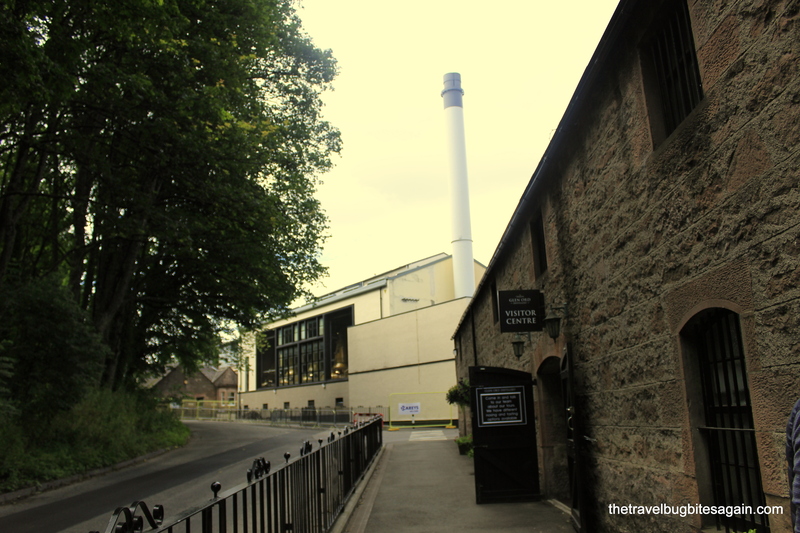 As a whisky lover, one of the things that I truly looked forward to in Scotland was visiting a distillery. If you didn’t already know, Scotland is one of the major whisky producing countries in the world, with the main regions in the country being The Lowlands, The Highlands, Islay, Campbeltown and Speyside. Hence, it would be fair to say that if you don’t visit a distillery while in Scotland, you are really missing out on something! And even if you don’t drink alcohol or whisky, this is a fascinating experience that I would truly suggest you don’t skip. 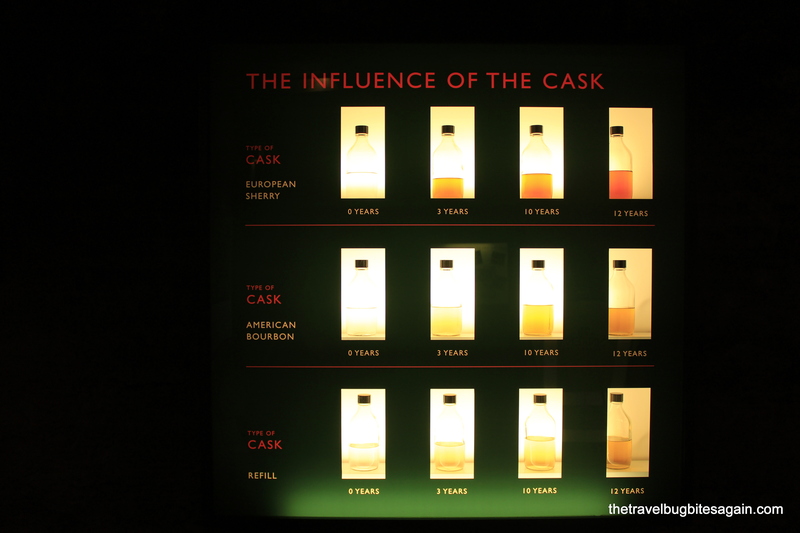 If you look online, you can find a lot of whisky trail tours stretching over days, however if you don’t have enough time for that, you could just go for the one that is most convenient and make a direct reservation. 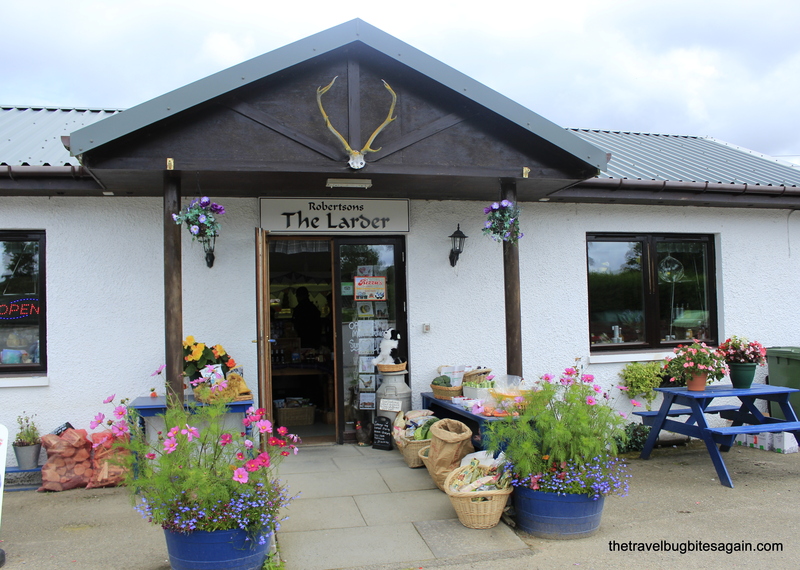 We visited the Glen Ord distillery which is a 30 minute drive west of Inverness and is situated on the edge of the Black Isle in the Highlands. It was founded in 1838, making it one of the oldest in Scotland and it is the only single malt producing distillery currently in this region. So let me start to explain what you can expect at Glen Ord, after all what better way to learn and taste than the source itself 😀 (and let me warn you, this post is heavy on all things whisky so if love the drink or want to know more about it, this is totally up your alley otherwise it is best you move on). Our guide began by telling us that in Gaelic, whiskey translates to “uisce beathaor” which means “water of life.” She then gave us a little bit of a background on the distillery, plus explained the process of Scotch production, which was actually fairly simple to understand and involves these main steps – Malting, Mashing, Fermentation, Distillation, and Maturation. It is quite interesting, how one could transform essentially barley and water into the “water of life”. 1) Malting —Barley is soaked in water, drained and then spread out to germinate into malt which takes nearly a week. The malt is then dried using an underground furnace (a kiln), the fire for which is stoked with peat and this gives a “smoky peat” flavor to the alcohol. 4) Distillation — The wash is distilled twice to increase the volume of alcohol. In the first step, the wash is boiled and the evaporated alcohol is collected in a condenser. The resulting liquid is called “low wine” and is approximately 20% alcohol by volume. The low wine is then distilled further and the best part of it is extracted which is actual whisky and is colorless. 5) Maturation — The spirit is placed in oak barrels, or casks, for the maturation process to begin. This was the part that I found most interesting. This step adds flavor and color to the whisky and is entirely dependent on the cask used. 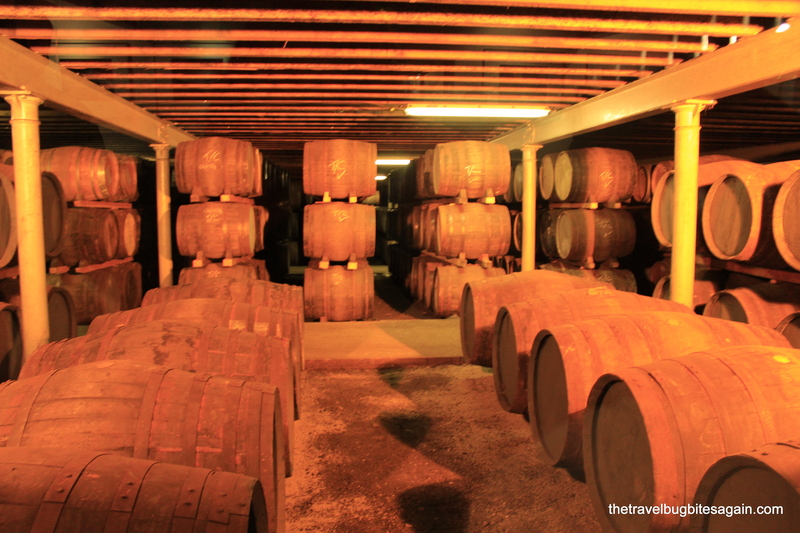 Our guide told us that different distilleries use different casks – such as second-hand sherry barrels and even barrels of beer, cognac, or wine. 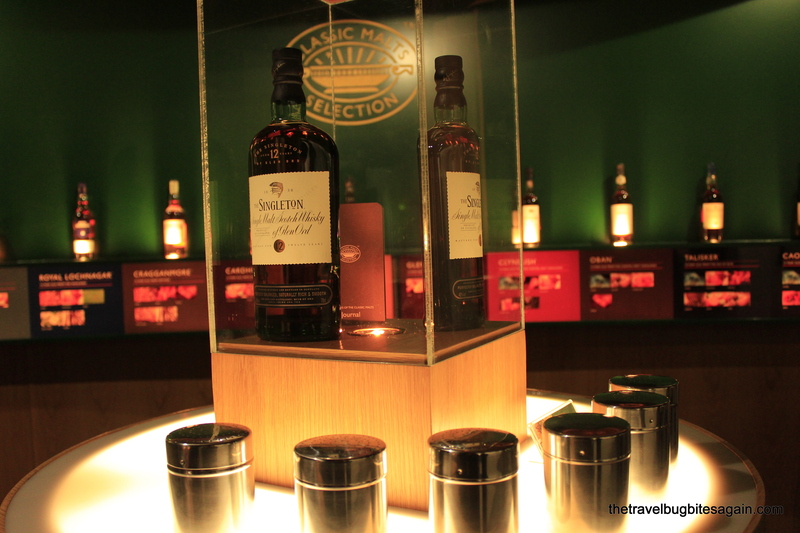 We were made to smell whisky maturing in both a Bourbon and Vanilla barrel and the small is very aromatic. Before bottling, various whiskies are mixed together to add to the complexity of flavors. A whisky is called “Scotch” ONLY if it is produced in Scotland. Funny that many people use it mistakenly for whisky from other regions. The Scots are quite sensitive about the spelling of whisky. Hence, never spell it as “Whiskey” while in Scotland, however do know that spirits originating from United States and Ireland are spelled as “Whiskey”. Whisky only matures while it is in the cask/barrel, it doesn’t mature any further once bottled. For most whiskies, having it on the rocks is not really considered apt as too low a temperature is supposed to dull the aromas of the alcohol. Few drops of water is supposed to enhance the flavors. The spirit must be aged in oak casks for no less than three years. It can’t be sold as whisky at this young an age, but can be used in blended whiskies. Scotch needs to have matured for a minimum of 8 years before it can be marketed. Of course, the older the whisky, the pricier it gets. 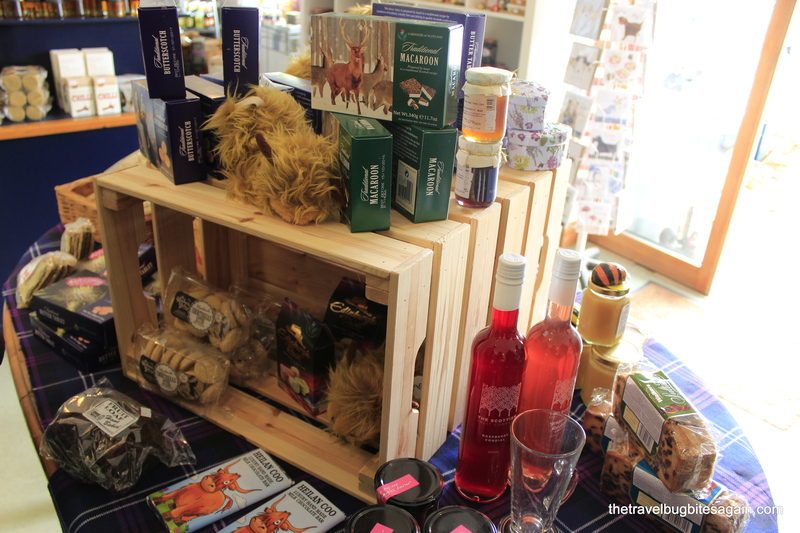 You can reach Glen Ord distillery in about a 30 minute drive from Inverness. They run a variety of tours which you can find here . The simplest is a tour of the distillery with a complimentary tasting of the Glen Ord 12 year old single malt which costs 6 pounds per person and takes an hour. You can find a lot of distilleries listed on this website along with all practical information for your visit. 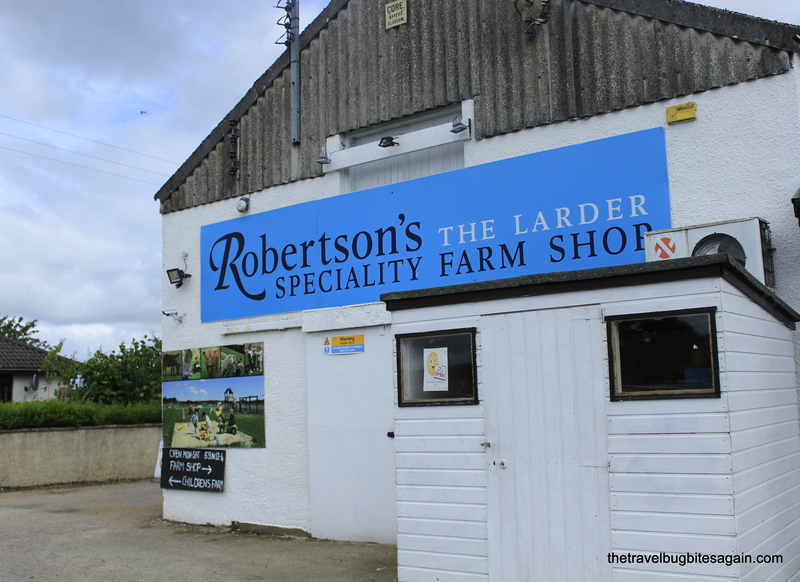 On the way back from Glen Ord, we stopped at this cute little farm called Robertson’s – The Larder. 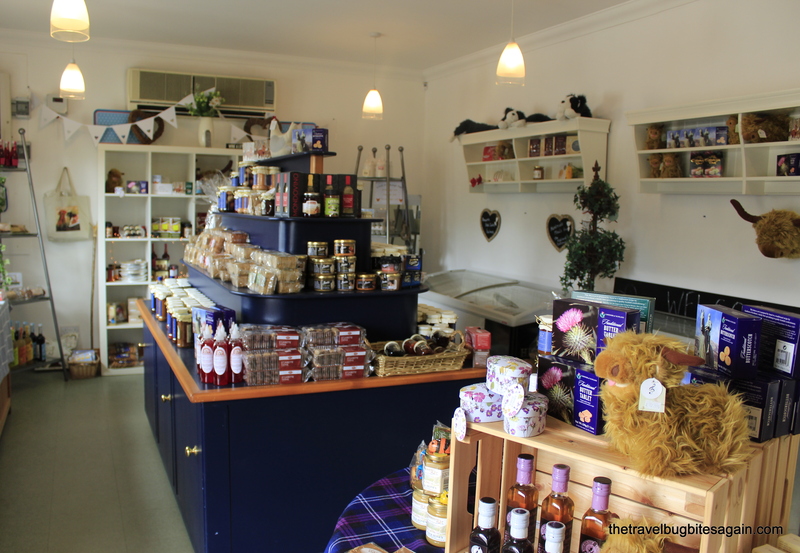 They have a small shop where they sell seasonal produce of fruits and vegetables and quite a variety of homemade goodies like cookies, cakes, cheese, chocolates, chutneys, crackers. We took a pit stop here and got some coffee and goodies to much on. They are a friendly bunch, and if you have kids you should know that they have a children’s farmyard where kids can meet and interact with the farm animals. 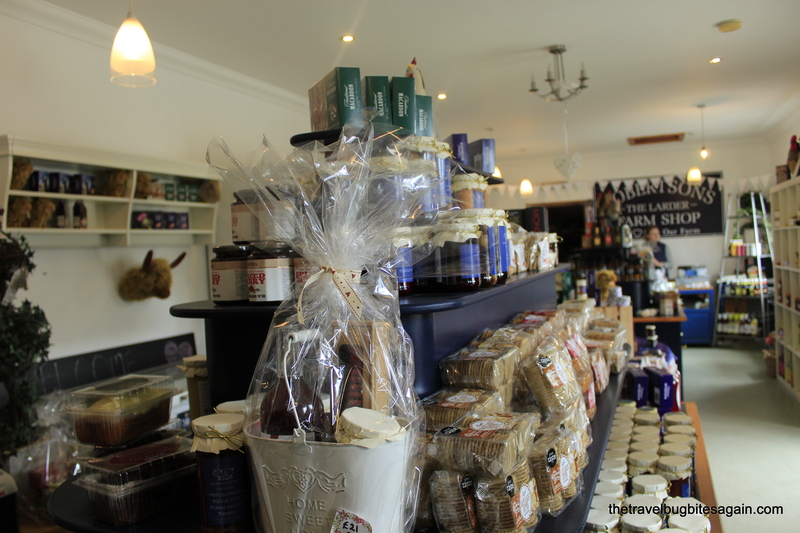 What a charming little shop! Looks like a party in here right? Thanks so much Malathi, glad you enjoyed it!